Bar Stool Lem, the original by Lapalma. The classic at bar and counter, in the office, at fair and trade shows or in the lounge area. The LEM bar stool: A unique success story. 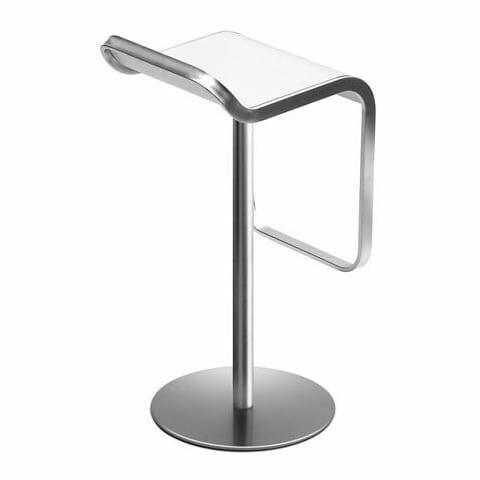 Awarded with numerous design prizes the LEM bar stool has become a true classic masterpiece of design. With his incorruptible graze he rules the exhibition and company scenery for many years. Moreover popular are features like an easy to turn and adjustable seat. Simple said: A perfect interplay between design and functionality! Lem is also available with frame and base in black or white lacquered. modern living, with clear proportions and the ambition to create something for eternity. Do you have a question about "Lem (chrome matte)"? How can we contact you?